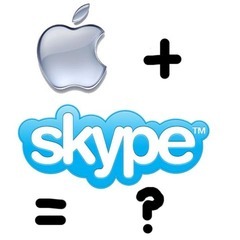 Skype are keen to make their video chat service compatible with the iPhone 4’s new FaceTime calls, but will Apple bite on it? Customers would gain from the integration too. It would make FaceTime much more useful for iPhone owners as they could video call any of their Skype contacts as opposed to just their friends with iPhone 4s. Not sure what the problem is. If the front facing camera is an open API then why wouldn’t Skype just configure their own app to use the camera for video calling as well as the current audio and instant messaging. The App can be kept running in the background and if you get a call it will push a local notification that you are getting a call.